If your children are difficult to manage and you do not have the energy to deal with them, you might want to consider what your family is eating. The answer could simply be your diet. Since we have such hectic lives we often grab quick, convenient food that could be causing mood and behavior problems with you and your children. Life gets hectic and we begin to find food that fits our on-the-go lifestyle. This usually means that we are grabbing fast food, boxed food, and any other kind of pre-made food we can. When we are running around constantly, the food we eat needs to be quick and easy. I think most of us try to find the healthiest choice possible, like apples instead of the fries, or juice instead of soda, but no matter how we look at it we need things that we can eat on the run. An easy formula to remember is 3×3 plus a healthy fat: three proteins, fruits and vegetables and one healthy fat daily. This seems like an easy task, but it is harder than you think. Protein is something most people miss in their breakfast and don’t eat enough of throughout the day. Fruit is easier to eat at breakfast, but Pop-Tarts don’t count. Vegetables are difficult to get children to eat and are probably only consumed at dinner. So why should you change your thinking? It gives you a plan towards healthy eating. Protein at breakfast increases the feel good chemical in our brain called serotonin and gives us a good start. Eating protein throughout the day, every three to four hours, is important to sustain serotonin. Fruits and vegetables will increase and support energy and other hormones to help us cope and stabilize our moods. The easiest way to make this change in your lifestyle is to stop and think before you eat a meal or snack. Think, did I eat my protein or fruit yet? Have I had my vegetables? If the answer is no, stop and eat one of these things before you reach for other food. If your child wants cookies for a snack, make them eat some turkey rolled up in cheese or half an apple with nut butter first, then let them have the cookies. Understanding the connection between food and mood will not only change how your family eats, it will decrease the meltdowns and tantrums. Children know when parents are tired and stressed and that’s when they’ll push your buttons. Preparing food ahead of time, doubling dinners for leftovers and snacks, keeping protein, cheeses, Greek yogurt, and nuts available will help your family make good food choices. 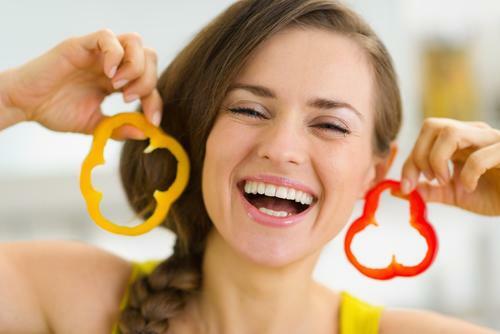 Have a better plan and remember good food equals good mood.